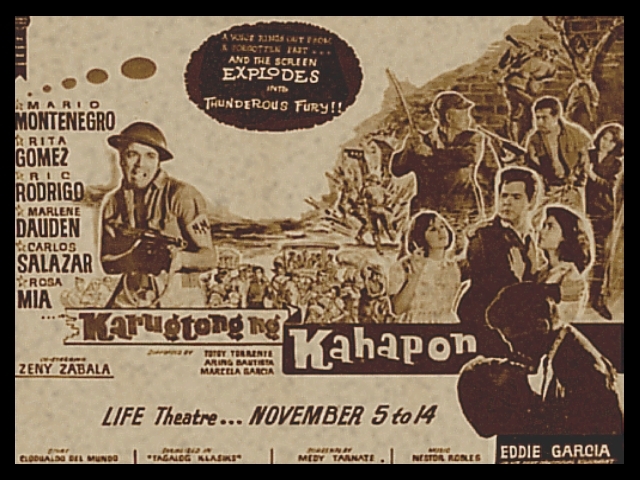 Originally released in 1961, Karugtong ng Kahapon was re-used as the title of the Vilma Santos 1975 film. Literally translated as the “continuation of yesterday,” the original film casted the major stars of this period, Rita Gomez, Mario Montenegro, Marlene Dauden and even its director, Eddie Garcia will all have films with Vilma. It was written by Clodualdo Del Mundo for Tagalog Klasiks, a comics magazine. Meanwhile, the 1975 film starring Vilma Santos was also written for comics magazine by Nerissa Cabral and Eddie Garcia was also involved, this time not the director but part of the ensemble cast that includes major stars like Gloria Romero and Celia Rodriguez. 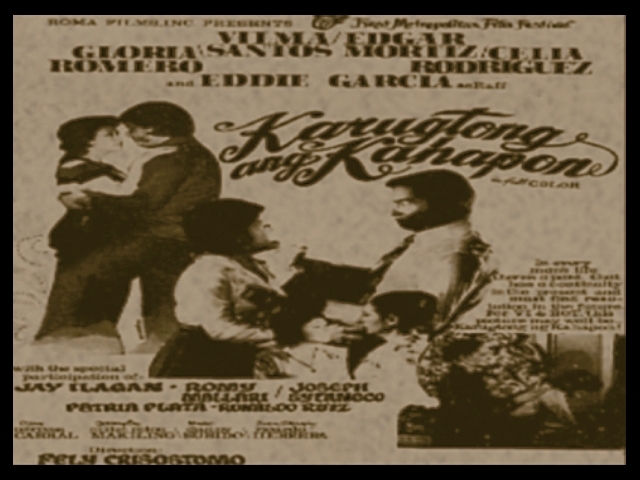 Karugtong ng Kahapon (1975) – Directed by: Fely Crisostomo; Story: Nerissa Cabral; Screenplay: Mike Relon Makiling; Cast: Vilma Santos, Edgar Mortiz, Gloria Romero, Celia Rodriguez, Eddie Garcia, Jay Ilagan, Romy Mallari, Joseph Sytangco, Patria Plata, Ronald Ruiz; Original Music: Danny Subido; Cinematography: Ricardo Herrera; Editing: Gervacio Santos; Production Co.: Roma Films; An Entry to the 1975 Metro Manila Film Festival. This entry was posted in ARTICLES, Filmography and tagged ARTICLES, FILMS, Karugtong ang Kahapon (1975), Karugtong Ng Kahapon. Bookmark the permalink.